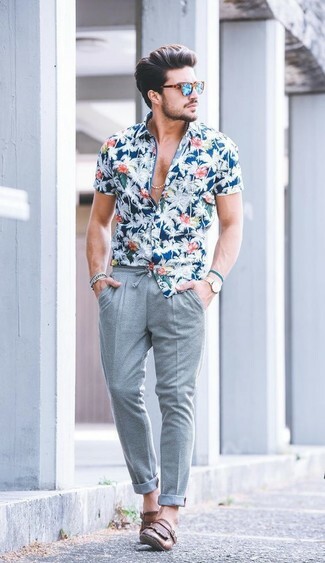 If you're looking for a casual yet sharp ensemble, consider wearing a blue floral short sleeve shirt and Farah Vintage Pants In Herringbone. As well as super comfy, both of these garments look amazing together. 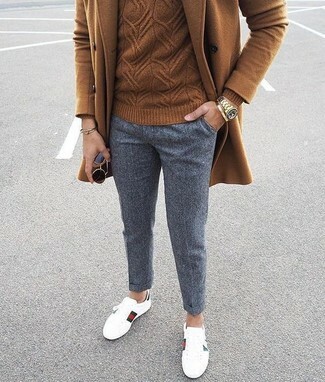 Wearing a pair of brown leather tassel loafers is a simple way to add some flair to your ensemble. 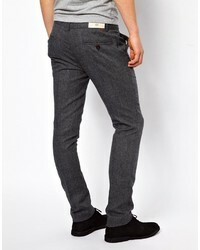 If you're in search of a casual yet stylish look, try teaming a blue denim jacket with Farah vintage pants in herringbone. Both items are totally comfortable and will look great paired together. Choose a pair of white leather low top sneakers to loosen things up. As you can see here, being a dapper dude doesn't take that much time. 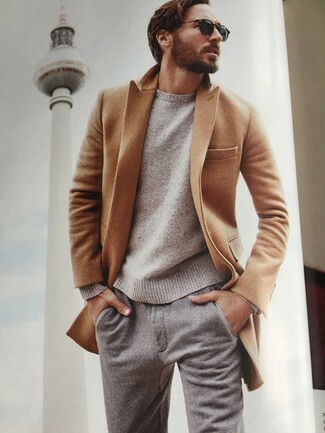 Just consider teaming a brown overcoat with grey wool chinos and you'll look nice. White leather low top sneakers will deliver more playfulness to your look. For a smart casual getup, make a black overcoat and Farah vintage pants in herringbone your outfit choice — these pieces go beautifully together. 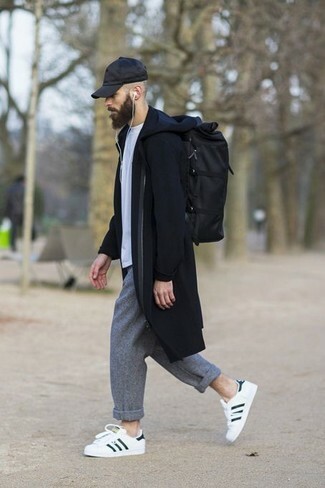 For something more on the daring side to round off this ensemble, go for a pair of white and black leather low top sneakers. For a casually elegant look, wear a camel overcoat with Farah vintage pants in herringbone — these pieces play really good together. 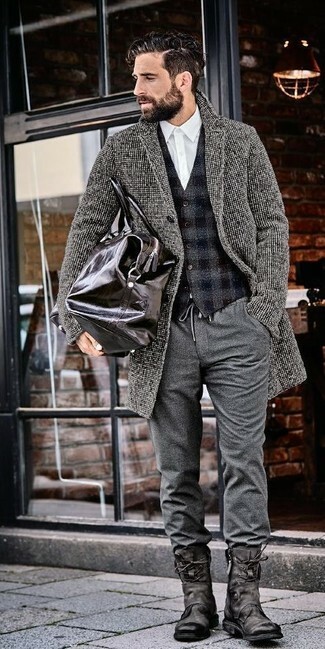 For a smart casual ensemble, choose a grey plaid overcoat and Farah vintage pants in herringbone — these items play nicely together. 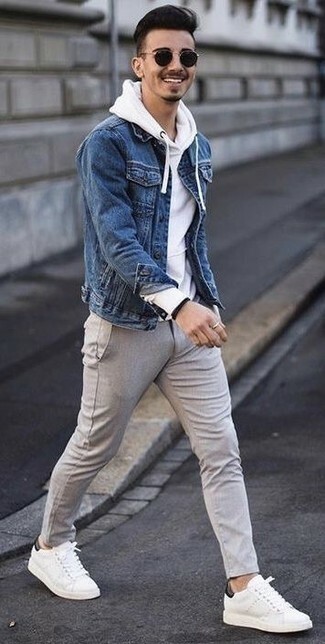 For something more on the daring side to finish off this getup, grab a pair of white leather low top sneakers. 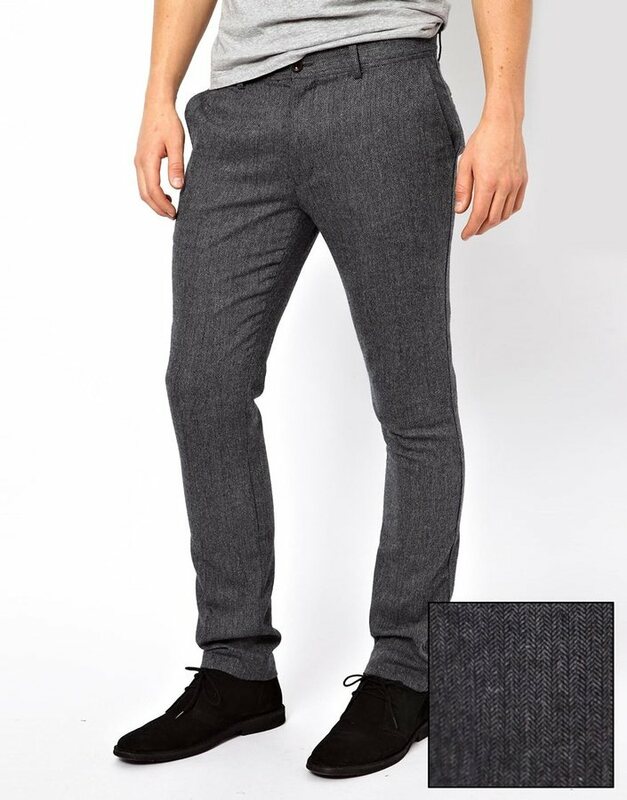 If you're on the lookout for a casual yet sharp look, wear a black print crew-neck t-shirt and grey wool chinos. Both items are totally comfortable and will look great paired together. Multi colored athletic shoes will deliver a more relaxed feel to your outfit. As you can see here, being a dapper dude doesn't take that much time. 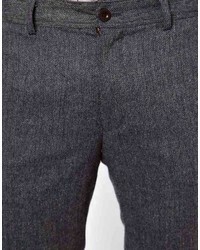 Just wear a grey overcoat and grey wool chinos and you'll look incredibly stylish. When it comes to shoes, this ensemble pairs wonderfully with black knee high boots. If you're on the hunt for a casual yet sharp getup, try teaming a black and white leather bomber jacket with Farah vintage pants in herringbone from Asos. Both garments are totally comfortable and will look great paired together. 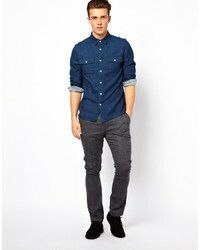 For something more on the daring side to complement this ensemble, grab a pair of navy low top sneakers.